India is the land of mysticism. You feel it in the very air. Jesus was the supreme mystic. The Unseen was real to him. He spent all night in prayer and communion with the Father. He lived in God and God lived in him. When he said 'I and the Father are one' you feel it is so. Jesus the mystic appeals to India, the land of mysticism. But Jesus the mystic was amazingly concrete and practical. Into an atmosphere filled with speculation and wordy disputation where men are often drunk with the wine of their own wordiness he brings the refreshing sense of practical reality. There is no deeper need in India and the world today than just this practical mysticism that Jesus brings to bear upon the problems of life. 'No man is strong who does not bear within himself antithesis strongly marked' The merely mystical man is weak and the merely practical man is weak, but Jesus the practical Mystic, glowing with God and yet stooping in loving service to men, is Strength Incarnate.It is no wonder that India, tired of speculation, turns unconsciously toward him, the mystic Servant of all. when i read a book i often either underline bits i like or write them out - it helps me chew over them again. so i have written this chapter out for my own benefit. if you are interested in the whole thing download concrete christ [pdf] or buy the book. uncanny - this is a brilliant follow up to worship trick 40! What are auras, past-life regression, ascended masters, tarot and the Jesus deck? For the past three years Ben Edson has led a team of people at Manchester’s annual Mind Body Spirit fair, a three-day festival of contemporary spirituality that attracts over 11,000 people. We are delighted that Ben is able to join us for Blah... where he will share stories from this intriguing mission journey of the past few years. It will be a great opportunity to glimpse into the phenomena of the ‘Mind, Body, Spirit Festival’, and reflect on mission amongst spiritual seekers in our culture. This is the first of two Blah... gatherings in London this autumn. The date of the second one for your diaries is December 7. 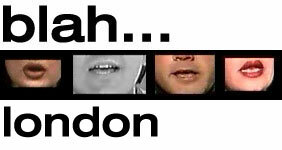 Blah... is a series of conversations hosted by CMS on mission, worship, church and Christianity in today’s rapidly changing culture. 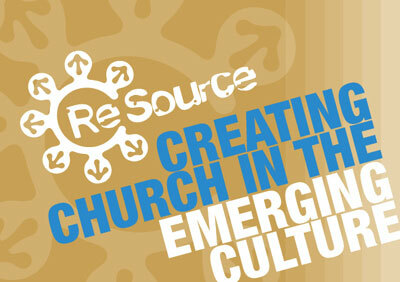 re:source begins a second course in january 2006. i am on the core group for the course and am excited about it. the first time we ran the course it went really well. this time it will be even better as we have learned from the first year and hopefully improved on it. if you are involved in leading an emerging church/fresh expression of church/church plant or are thinking about starting one this could be a great course to sign up for. it is aimed at people who are doing it i.e. practitioners. it consists of 5 weekends through the year, each in a different location, on the themes of mission, culture, leadership, church and transformation. like all these kinds of courses as well as some teaching, discussion, reflection, coaching and so on, one of the huge benefits is meeting a bunch of other people on similar journeys round the country to learn from each other. mentoring and assignments are also part of the course. full details are in the brochure. if you would like a brochure sent to you e-mail beth who now works part time to make re:source happen and is doing a fab job and she will send you one. you can also download a pdf of the brochure here (approx 500k). one of the challenges with all of this emerging stuff is that it is often tucked away so if you know anyone you think would be interested please pass on the info/pdf - these kinds of things spread best by word of mouth and we haven't got a huge advertising budget anyway. the course is pretty good value i think at £420 (plus £200 if you want us to provide accomodation). there is a re:source web site but it is in the process of being updated so look back there in a week or two. we dropped in to banksy's crude oils exhibition today. it's in a small shop on westbourne grove and live rats (one of banksy's iconic trademarks) are allowed to roam freely among the exhibits! a few people at a time were allowed in so there was quite a queue on the street. it was mainly a selection of oil canvases edited by banksy. i have added a couple of pics to my art pics album. 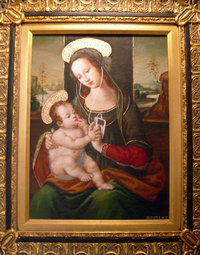 my favourite was this madonna and child. wonder what the mother of god playlist is? Only Connect... Why God’s future is urban. A guided discussion on city spaces, networks and the spirituality of the urban exoskeleton. we have decided not to die is a stunning short film. i have been on the lookout for it for a while since being tipped off about it by andrew pickering. anyway to my delight when i got the latest onedotzero dvd (which are always wonderful) i discovered that the film is on it. it's produced by dan askill who made the unkle reign video which i blogged about as a worship trick not long ago. if you want to see a preview of we have decided not to die look under films on the collider web site. the film is about 11 minutes long and follows three rituals - birth, between, and rebirth. the first is a woman breaking through the surface of a swimming pool (very bill viola like), the second is a man in the wilderness between two cars about to collide, the third is a man running through a window of a high rise office. these three themes pretty much summarise the process we have been going through in grace - currently we are still in the 'between' or liminal place. it is a stunning film and has received a lot of critical acclaim. in terms of how you use it, just show it - it raises so many thoughts and questions (at least it did for me).